The spot price of gold may seem mysterious at first, but this is not the case when you understand what factors drive the market price of gold. At the most basic the answer is supply and demand, but this answer is very simplistic and there are other factors involved as well. In the last few years the cost of gold as investment has increased significantly, and the factors driving the demand also need to be addressed. The recent global economic recession left many investors distrustful of the stock market, and that caused them to turn to gold bullion and other precious metals instead. 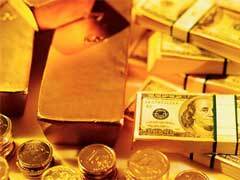 Gold bullion coins and bars have historically been a good investment in rough economic times, and still are today. They actually serve a triple purpose – long term investment, hedge against inflation and survival means in worst economic scenarios. For centuries a troy ounce was used to establish the weight of bullion products whether these are coins or bars. So a spot price is essentially for how much money the market is currently willing to sell to you 1 troy ounce of precious metal. Because many investors started buying 1 oz gold bullion and other forms of this metal this drove up the demand for it. In addition, gold is used in manufacturing and other industries, and this also increases the demand that this precious metal has. As the demand increased, the gold bullion spot price also went up, and other precious metals followed for the same reasons. Technically the spot price of gold is determined by the supply and demand factors, but the underlying reasons for this demand also need to be evaluated so you can make the best possible investment decisions. Real gold price per ounce depends on all the factors. Currency devaluation can also cause the spot price of gold to go up. Many investors use the foreign currency exchange to invest, but when currency values fall many Forex investors turn to precious metals, including gold 9999 pure. This is also true in other sectors, because gold and other metals have always been viewed as safe and reliable regardless of economic or political factors that often affect other investment choices. There are many factors that are used to determine the spot price of gold, and all of them will have an impact on the market and the value of this and other precious metals. It’s important to understand that this price will change frequently throughout the week and even several times per day driven by a multitude of complex market relations.